Printers are the most important part of an office set up. 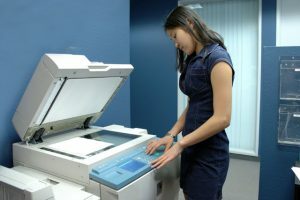 Both company employees and customers may rely on plenty of printouts to fulfill official communication or formal correspondence. However, to discover that the printer has given a printout of pages with fading on a side of the page may prove to be frustrating to you or your customers. The one-side fading on a printout may happen due to issues like moisture on the paper, or because of the toner cartridge running out of ink. In fact, it may even indicate potential hardware or software issues that necessitate professional printer service. However, you should take certain steps as listed below before calling the professionals to service the printer. Try taking off the paper in the paper tray of the printer and replace it with a new paper. If you happen to store the printing paper on a place with moisture, it is likely that one side may be moistened. The paper may even have an irregular surface, which causes the fading problem. So try replacing the paper to determine and eliminate both possibilities. Open a browser and then try taking a printout of a given web page with graphics and text. Take the printout on the newly fed paper to see if the issue persists. If an evenly printed page turns out, the old paper may be to blame. However, if the printout has a fading on left or right side before you began troubleshooting printer problems, proceed to the next step. Check the ink level of the toner cartridge. For that, you need not look anywhere but the connected computer screen, which may show a low ink error. Alternatively, the printer may display a warning light of colors red, yellow, or orange, if and when the toner requires a replacement. If no warning shows on the printer, you can contact tech professionals to do printer service. To remove the toner cartridge, open the covered area on the printer. Insert a fresh cartridge in place of the old one. Then, open a word document or a spreadsheet to see if the new cartridge works. Besides, do check that the printout turn out with even ink.